Fans should not boo MS Dhoni, according to Sourav Ganguly. Supporters at Lord's voiced their frustrations on Saturday as the Indian wicketkeeper compiled a lethargic 37 from 59 balls, made in 80 minutes, while his team required more than 10 an over. Ganguly was unhapped with the treatment Dhoni received, however, intimating that a man who has made more than 10,000 ODI runs is entitled to a little leeway. "The people shouldn’t boo Dhoni. He’s one of the greats," the former India captain told India TV. "I don’t think we will ever find a player like him in the times to come. He got stuck out there, couldn’t rotate the strike." Dhoni struggled again at Headingley in the third ODI, making 42 in 66 balls. 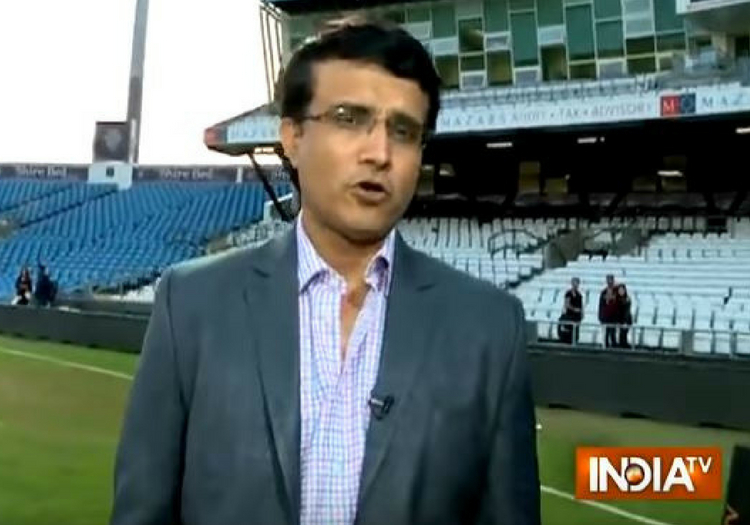 "He should start hitting because that’s his natural game," Ganguly offered as advice. "One starts questioning his abilities, as to whether he can perform in the same fashion like he did before. In 2005, he used to hit bowlers in any conditions. In Pakistan, he went and hit sixes all around. "The team management should sit and talk to him, give him the No.6 spot and tell him to get back to his natural game."